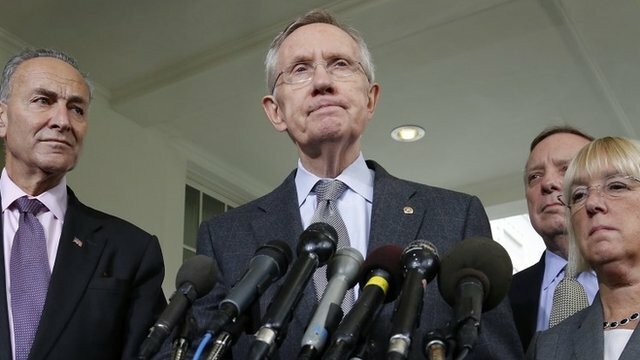 Democrats will 'negotiate on anything' Jump to media player US Senate majority leader Harry Reid has said that Democrats would "negotiate on anything" in a bid to stave off default, but that the government should be open. 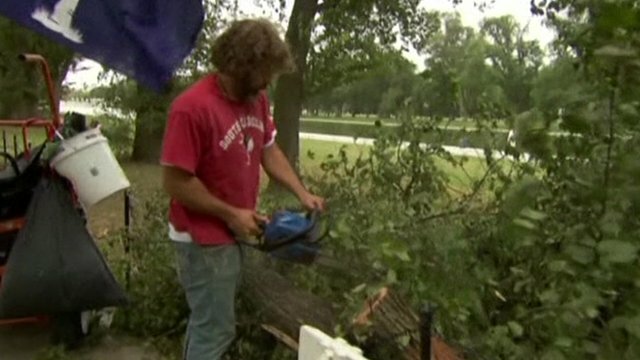 'Rogue' cleaner tackles US memorials Jump to media player While the US government shutdown has meant national parks and monuments have closed, one man is attempting to keep Washington's memorials clean. 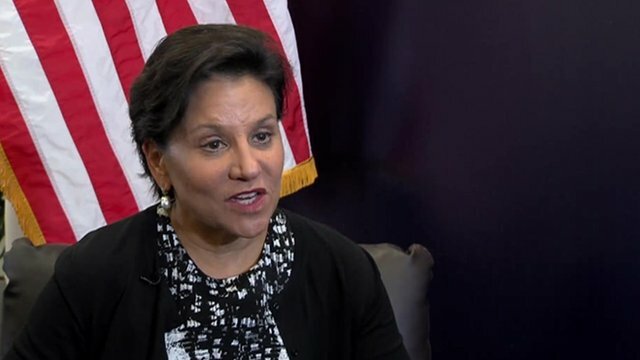 US 'will pay its bills' says Pritzker Jump to media player The US Commerce Secretary Penny Pritzker tells the BBC that America will resolve the crisis and that it "will pay its bills". 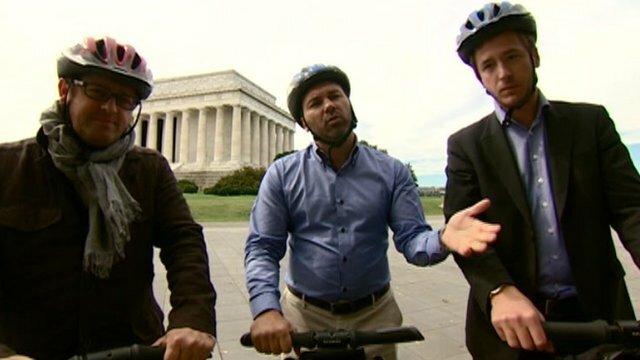 French tourists angry at US shutdown Jump to media player The war of words over the US budget continues in Washington amid warnings that failure to raise the debt limit would have major international consequences. More talks have been going on in Washington to try to end a dispute between the Democratic and Republican parties, which has led to a partial shutdown of the US government. 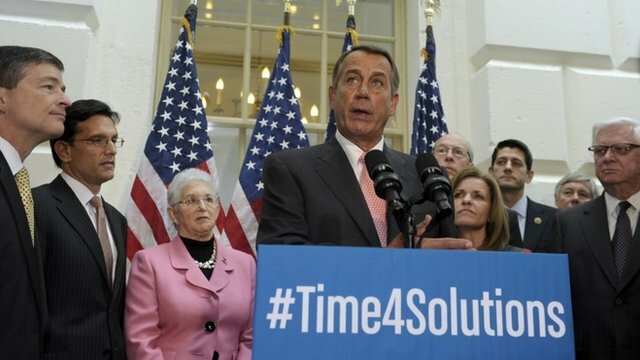 There are fears that the US could default on its debts if the deadlock isn't resolved by Thursday. 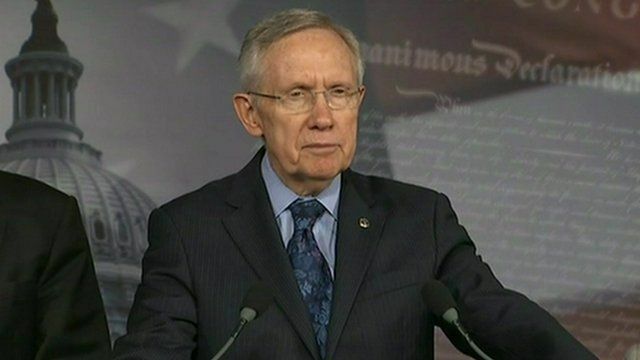 The Democratic leader in the Senate, Harry Reid, said recent discussions had been positive.